Herskowitz, Mickey. 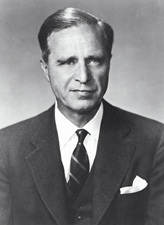 Duty, Honor, Country: The Story and Legacy of Prescott Bush. Nashville: Rutledge Hill Press, 2003. Schlup, Leonard. Prescott Bush and the Foundations of Modern Republicanism. Research Journal of Philosophy and Social Sciences (1992): 1-16.